What do you get when you cross a paddle boarder with a professor of advertising keen on new technology? Enter John Delacruz. He recently teamed SJSU advertising and design students with those from Miami Ad School’s SF campus to collaborate on national and international competition briefs. Their efforts are considered for awards and his undergraduates interact with industry professionals. 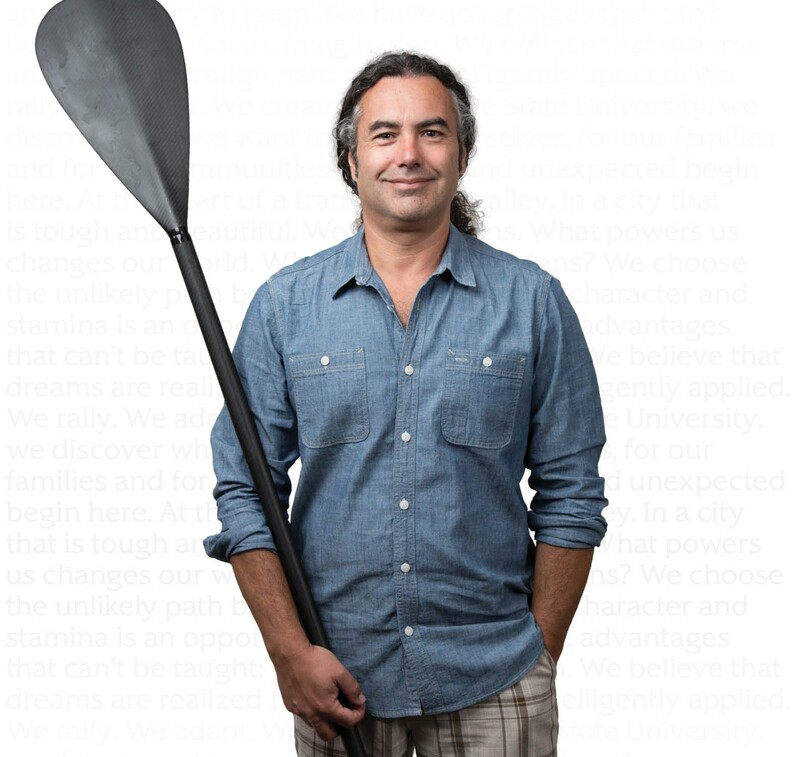 While his students “soak up the world” outside of class, he has found his focus paddling Monterey Bay and inland across California and Oregon’s rivers and lakes. Exploration and play are essential to creativity—for students and teacher alike.